On Mikatan’s Blog, I think she stated that the 「Figma Cycle Campaign」 is over. 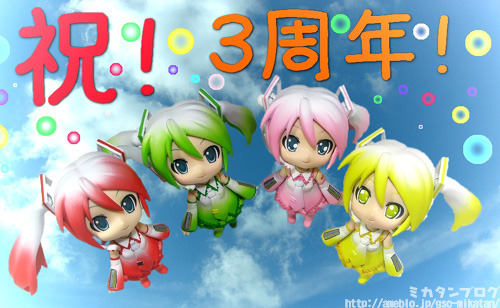 And a post that shows 4 Negi girls. Very colourful, I want the Negi coloured ver. And ワンホビ９．５ (Wonder Hobby 9.5) is inching closer.